According to Hungary’s largest circulation political daily, Népszabadság, claims surrounding a possible far-right assassination attempt against Prime Minister Viktor Orbán were credible, despite widespread incredulity in much of the media, when news of the so-called Hungarian National Army (Magyar Nemzeti Hadsereg) and its plot were leaked. Népszabadság refers to police and Interior Ministry sources, who told the opposition daily that the two suspects who were taken into custody–both men in their early sixties–had collected items and objects in their homes that bolstered their “undeniable intention” to assassinate the prime minister. Police also found weapons in the trunk of their car. As well, police and the anti-terrorist TEK unit had the two men under suveillance for some time and had tapped their telephones. It was in these discussions that authorities overheard the men, who see Hungary’s World War II Nazi (Arrow Cross) leader, Ferenc Szálasi, as a role model, talking about “convincing the government with a bullet to the head” to hand over power to their group. A private source told Népszabadság that the men’s demeanour had changed as the day of the planned assassination (November 22, 2015) approached. They had become withdrawn and determined, in the words of the Népszabadság source. On that day, Mr. Orbán was reportedly shuffled out of the building where the assassination attempt was scheduled to occur. Viktor Orbán on December 13th, 2015. Photo: MTI. It’s worth noting that both suspects have prior criminal records: one of them was handed down a 7.5 year prison sentence on weapon and drug-related charges. TEK believes that the Hungarian National Army has between 15 to 20 members. The shady, extreme right organisation distanced itself from the two suspects who planned the attack. Initially, when the story of the alleged plot first broke, TEK chief János Hajdu tried to draw a connection between the attempted attack and extreme Islam: he suggested that authorities had foiled a terrorist plot on Hungarian soil and that he could not rule out the possibility that it involved international terrorist groups. It was quickly revealed, however, that if anything, this story involves homegrown terrorism and extremism. Meanwhile, Prime Minister Viktor Orbán still seems energized and told a Fidesz party congress this past weekend, that he plans to run for office again in 2018. This puts to bed some earlier speculation that he may have his eyes set on the president’s role (which is largely ceremonial), and rather intends to hold on to the prime minister’s job even beyond 2018. Mr. Orbán told Fidesz party members that they would be around for at least the next thirty years. Mr. Orbán also referred to Fidesz as “Europe’s most successful political party,” noting that everyone first mocks Fidesz for its policies (such as the hardline on refugees), but these people are paralyzed and stunned on the sidelines, once Fidesz succeeds. “We are the ones who act. And it’s important that we understand our own race. 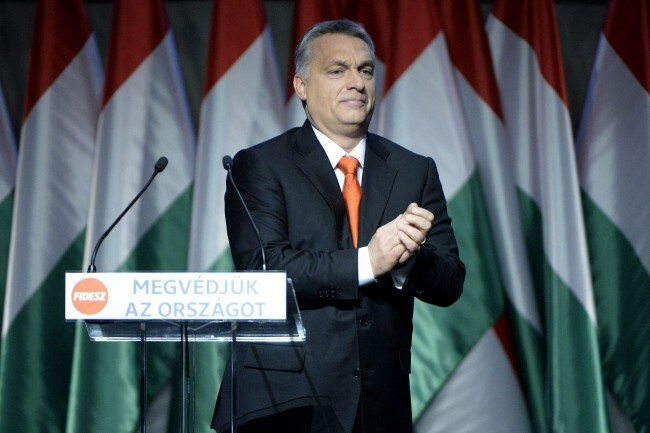 We believe in Hungary and in Hungarians,” declared Mr. Orbán. One wonders, yet again, what still distinguishes the prime minister from the far right. I don’t like killings. Killing him would create a very dangerous power vacuum and I think it would be better to bring him to the court and make him answer all the accusation and his misgoverning. And make him pay all the loot back to the state treasury. 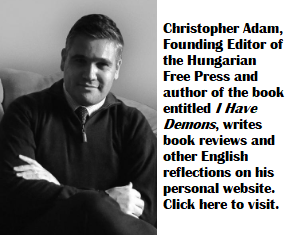 Meanwhile, not only his wrongdoings but his merits should be taken into consideration, among many others, keeping Hungary safe from this migration nightmare, often saying the right thing, or breaking up with the Rothschild IMF. Sometimes he does good things but unfortunately even that in a wrong way, as of the above mentioned. My only problem is with him beyond populism many cases of misgoverning that although he is acting very firmly toward the EU — that is sometimes useful — and is trying to pave his way up to heaven and to prolonged governing, in the meantime he is going on with his looting his country, building his own oligarchy i.e. weakening the country. He, a power worshiper should understand and accept the painful fact that he cannot be a powerful idol PM neither in the EU nor in the international arena without building a strong country first and being the PM of a successful strong country. Yet, his outward muscle flexing is going on while discontent, poverty and social tension is growing in Hungary. Would his heroic action against the migrants be enough to cover and counterbalance all his wrongdoings? He wants to rise like a phoenix? He might. We will see. But what about Hungary? What will happen to Hungary? Rothschild loves to predict the future he is planning. His bullhorn The Economist has got something to do with Orban speaking about populism and fear. Yep, he’s got what he wanted, nearly famous now. Viktor Orban is a voice of sanity in a sea of EU madness. A true leader and a gift to Hungary.